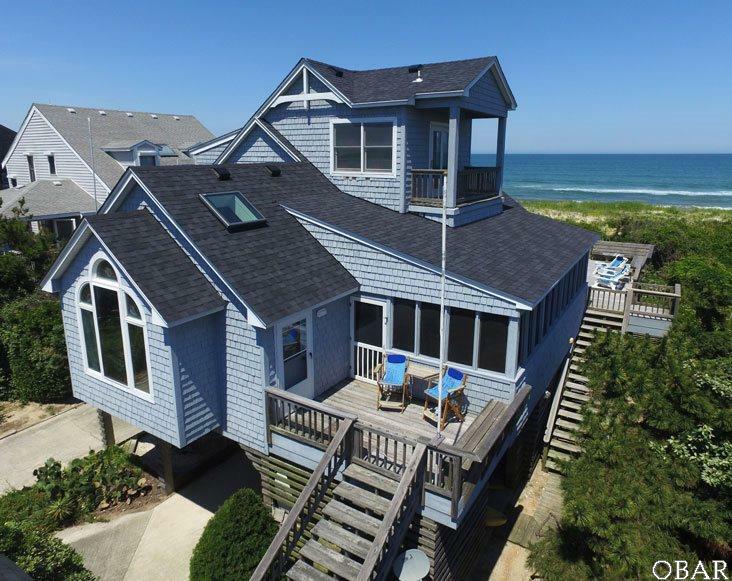 The oceanfront home of your dreams. 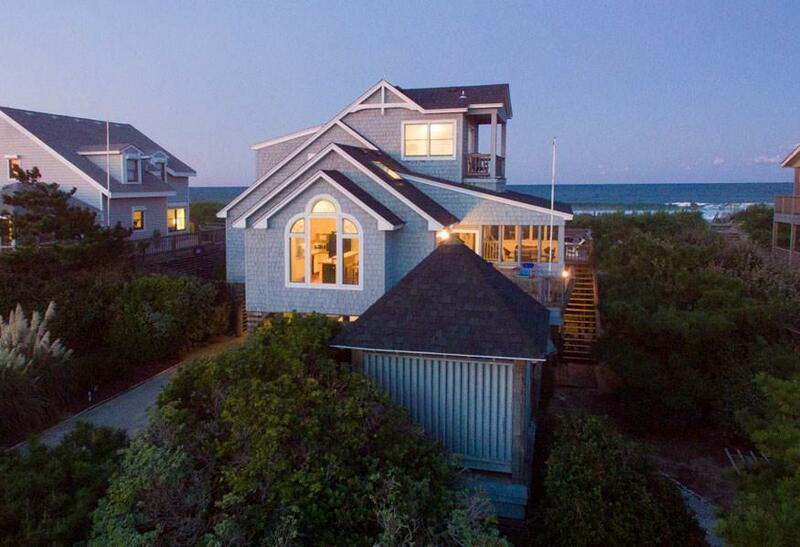 This unique and classic beach house has been lovingly maintained by its long-standing owner, sited on over half an acre overlooking the pristine beaches of Sanderling on North Carolinas Outer Banks. The property boasts living spaces that take full advantage of the views while seamlessly blending indoor-outdoor living. 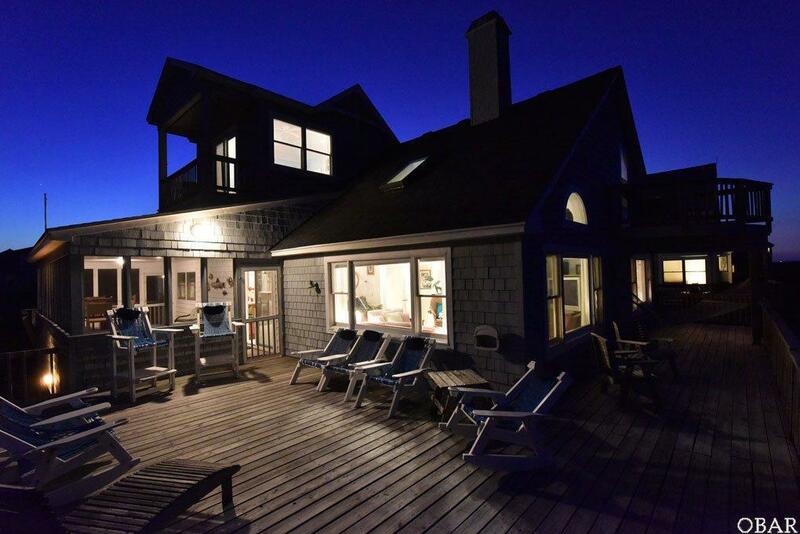 The over-sized screened porch off the living area leads out to an 800 square foot main deckfurther on, the hot tub enclosure, two outdoor showers and a foot bath keep you in a state of relaxed seaside bliss. 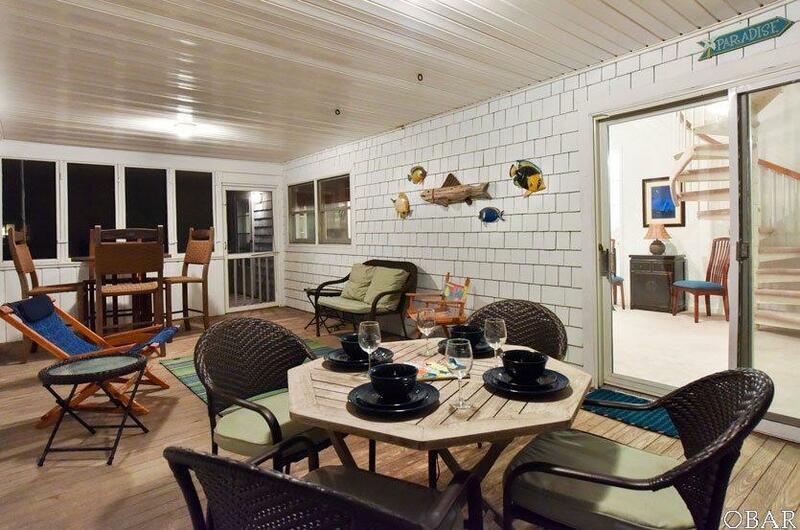 Inside, the timeless clean-lined residence is ready for easy coastal entertaining. The kitchen boasts tumbled marble tile countertops and backsplash, the wet bar is highlighted by a natural wood counter perfect for cocktail hour. Just beyond, is the living room with artistic stone wood-burning fireplace, beamed vaulted ceiling and large windows that let in the Carolina sunshine and more ocean views. Ascend the spiral staircase to the shipswatch room with the best views in the house. More views in two of the four spacious bedrooms, including the master bedroom. This custom home has been architecturally designed and renovated since its original construction. The most recent updates includes 50-year high-def roof and skylights (2017), new carpeting (2017), interior paint (2017), new main level HVAC system (2015). Not surprisingly, the rental history for this home has been strong and consistent. The community of Sanderling compliments this home perfectly. Quiet, private, the maritime waterside forest offers nature paths, soundfront and oceanfront accesses for water sports of all kinds. Membership to the Sanderling Racquet Club conveys with this home and offers a large pool, kiddie pool, tennis and gym only half a mile away.